The 13th Annual LIVE Leadership Camp will be held June 24 – June 28, 2019 at Creighton University Retreat Center in Griswold, IA. For over a decade, quotes, like the ones listed below, have inspired us to continue this Camp as together, we are positively changing the lives of young, Latina girls. LIVE Camp (Latinas Inspiring Virtuous Excellence) is a faith-based, weeklong experience in the beauty of God’s creation. 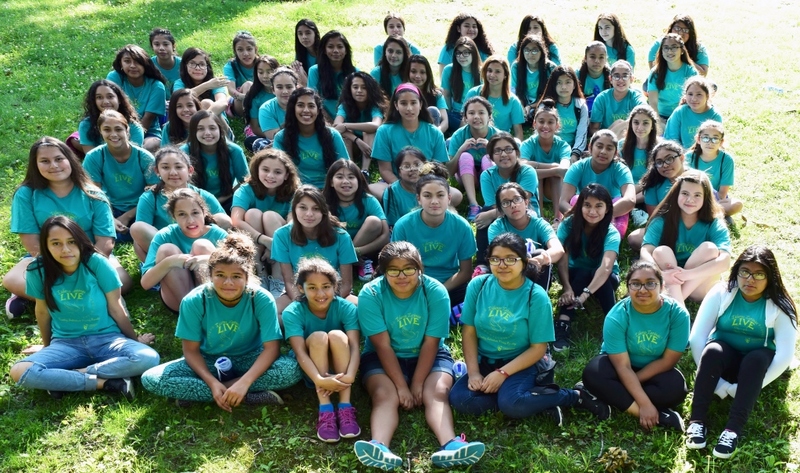 The Camp engages middle school Latina girls to grow in their relationship with God, embrace their Latina heritage with pride, and be empowered in virtue as leaders in their families, church, community and world. Days are spent being physically active, learning how to be proactive at school and meeting other young and energized Latinas. They learn better ways to make healthy decisions, increase their self-esteem, grow in their faith and become aware of their potential. We believe this camp provides these girls with some tools to resist destructive behaviors such as alcohol, tobacco, other drugs, premature sexual activity, and other risky behaviors. LIVE Camp provides these young women with the right skills to face life, and its challenges, with confidence and strength. As a junior counselor for three years now, I can truly say that this camp has changed my life. Every year I am fortunate to work personally with the girls, teach them, do activities with them and give them advice to the many issues they may bring with them. Not only do I learn about them, but it has taught me more about myself and the person I want to become. I don’t know where I would be without this camp and I thank God that the Presentation Sisters took the initiative to create this (camp) for Latinas like me. The Presentation Sisters and LIVE Camp counselors keep in contact with the campers throughout the year via newsletters, emails and visits. We encourage the girls to continue using the leadership skills they learned at camp. We also invite young women to return to camp as counselors so they may have the opportunity to “give back” and mentor a junior high girl. We are happy to be able to work with a local committee in bringing this camp to the Latino community. The partnership with the committee, area businesses, local foundations and individual donors is critical in the success of this ministry. Together, we believe we are improving the lives of the Latina youth and impacting the future leadership of the Omaha community. CLICK HERE TO VIEW AND PRINT THE 2019 LIVE CAMP BROCHURE.